You are here: Home > MCSD News & Alerts > MCSD News & Alerts > CMS News > Live United Day – November 4, 2016! 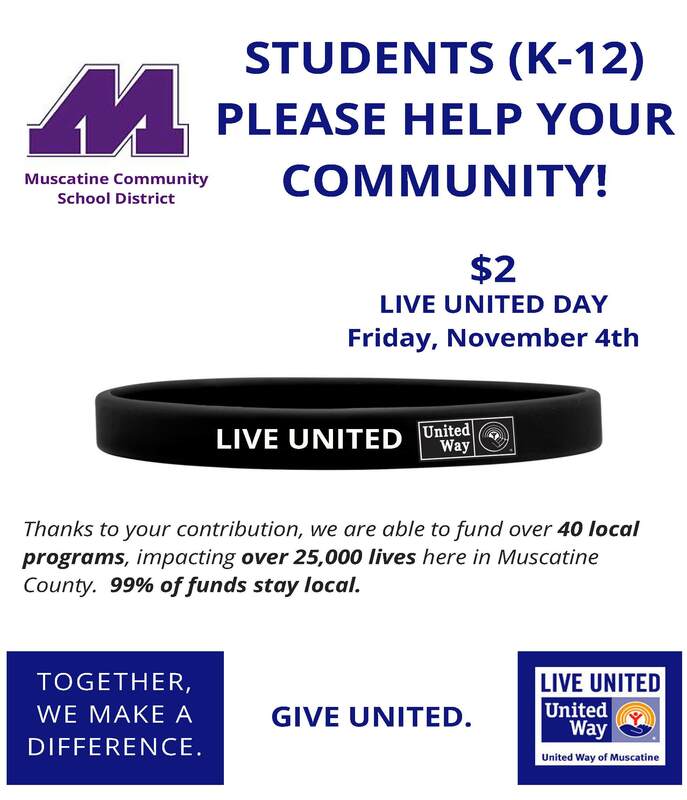 MCSD students, please help us support the community with LIVE UNITED DAY this Friday, November 4th. Coin envelopes have gone home from your school. If you have any questions, please let us know. MCSD families, we would appreciate you sharing this with others in the community. Thank you for your continued support. Thanks to your contribution, we are able to fund over 40 local programs, impacting over 25,000 lives here in Muscatine County. 99% of funds stay local.